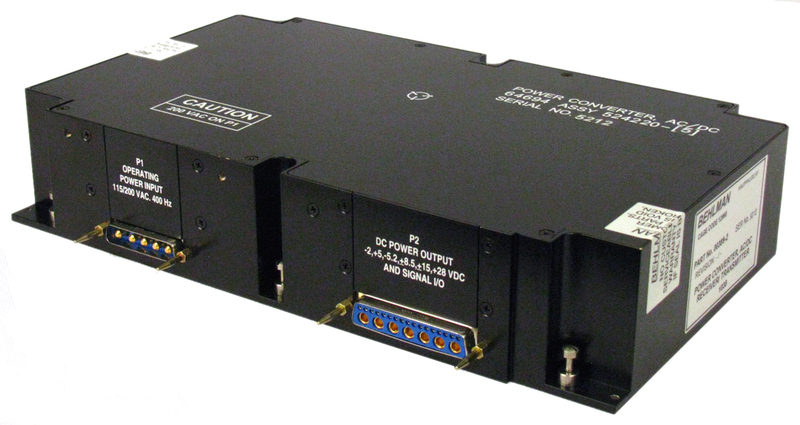 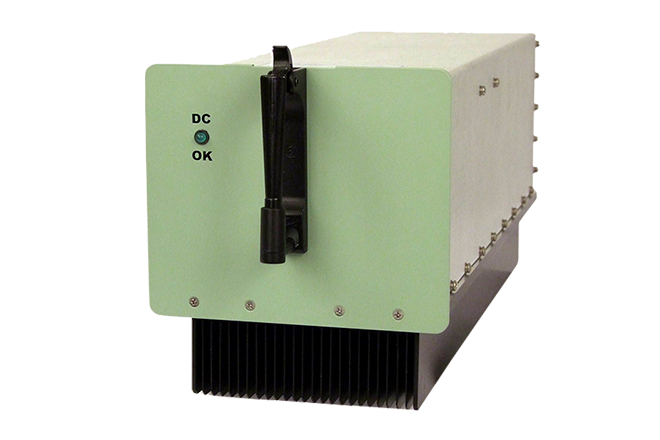 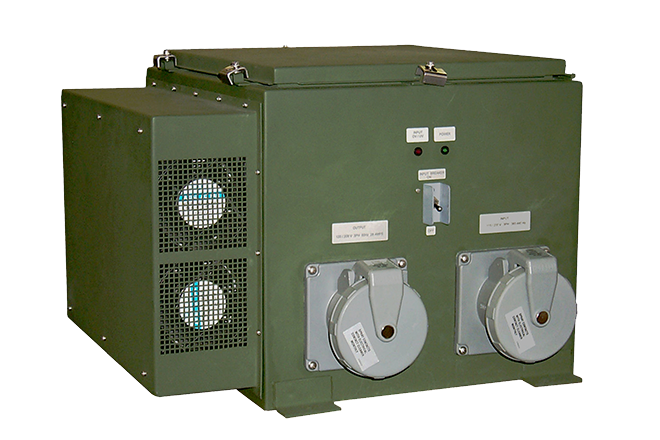 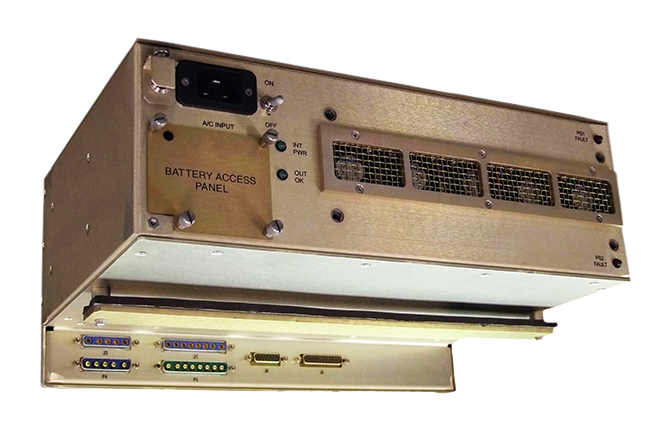 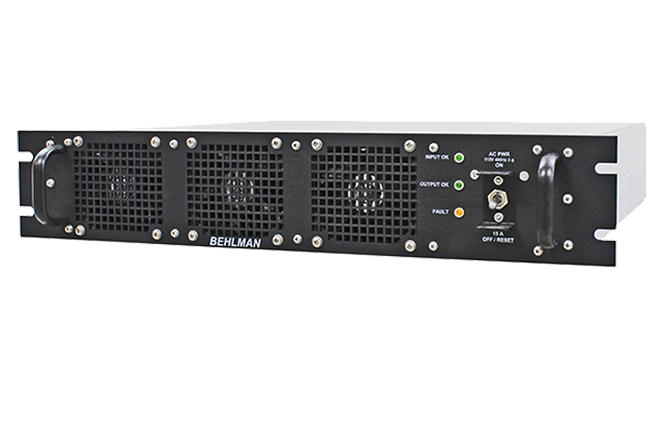 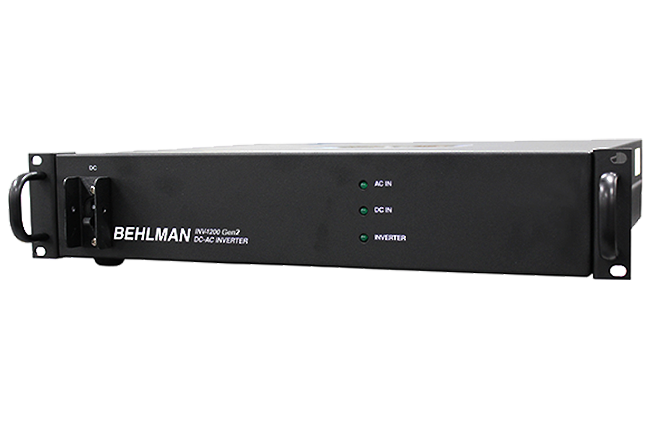 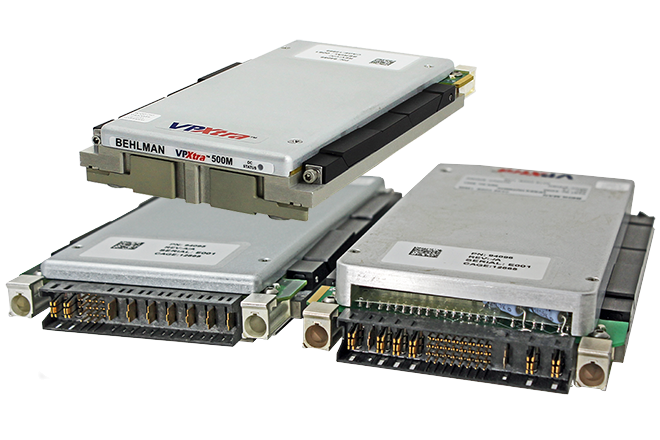 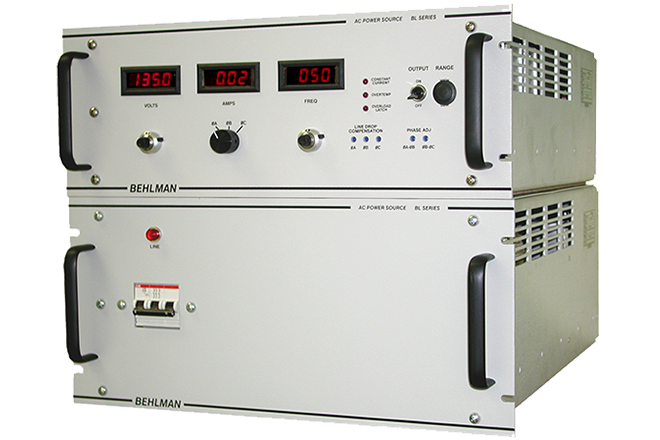 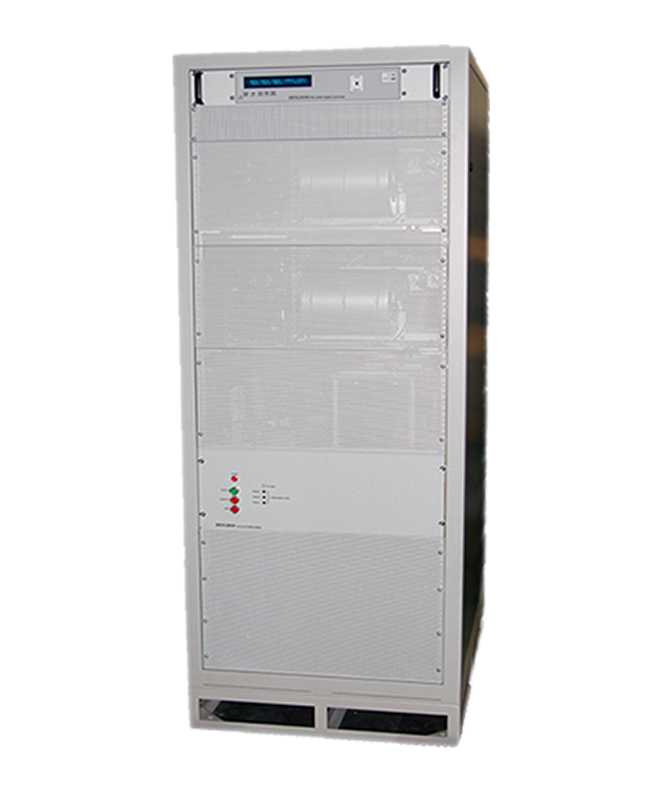 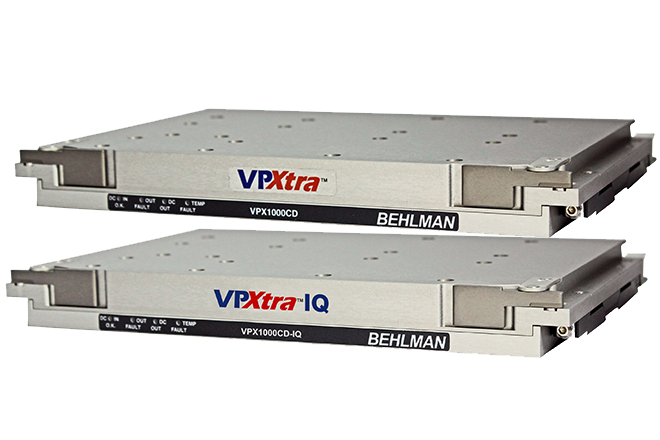 The Behlman INV Series DC to AC Inverters deliver clean, regulated AC power from DC, in a rack mount chassis. 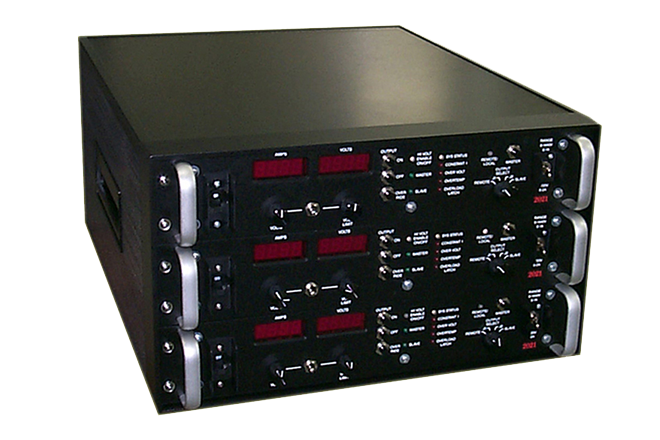 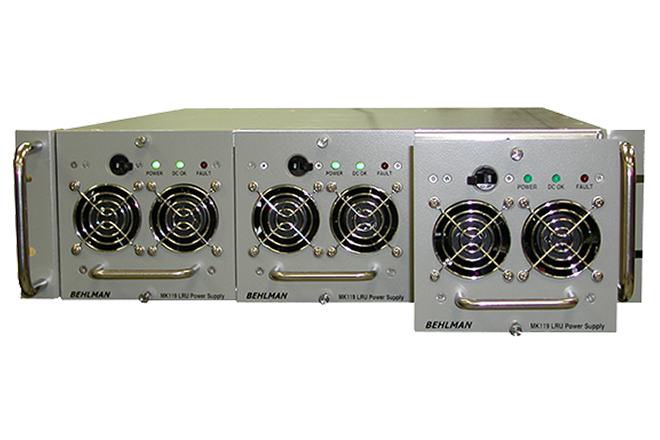 You have a choice of a high quality sine wave output with very little distortion, Model INV-1200 and INV-2500 or a well regulated modified sine wave output, Model INV-1210. 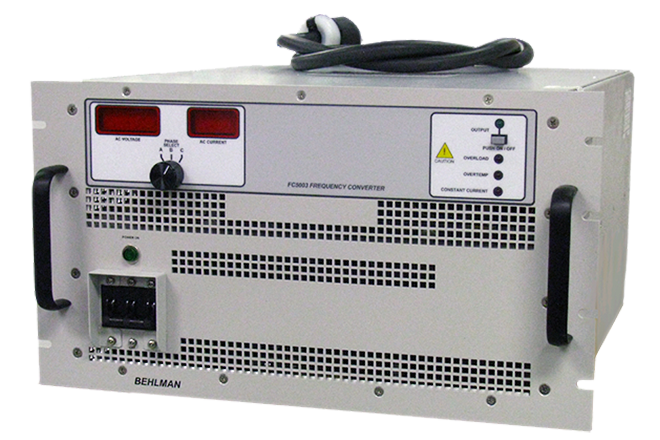 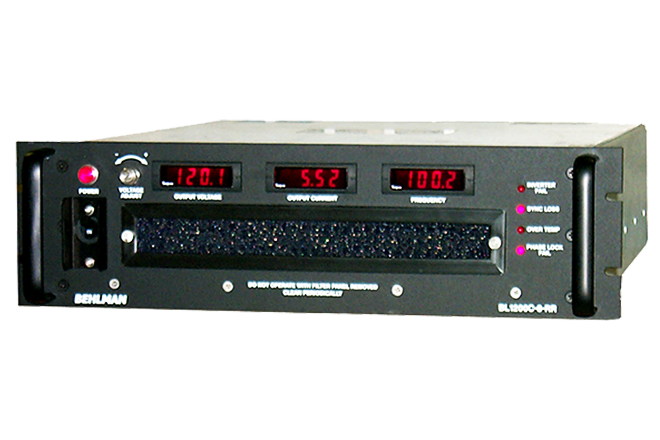 The standard unit is available as a simple DC-AC inverter. 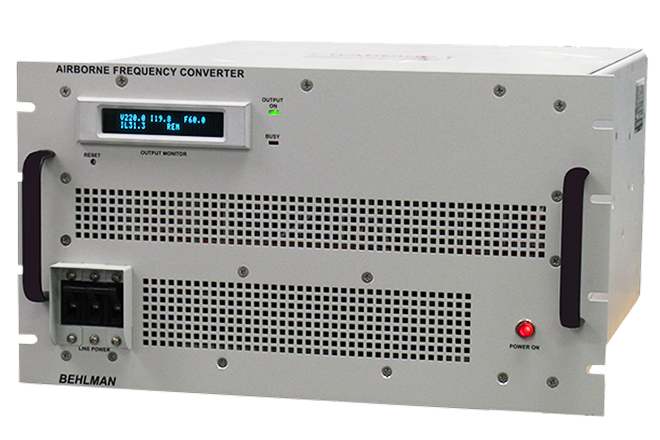 With Option D1, a transfer circuit will switch the load to an AC input upon loss of the DC input or inverter, or you could choose Option A1, with AC as the primary power with a transfer to the DC input upon loss of the AC. 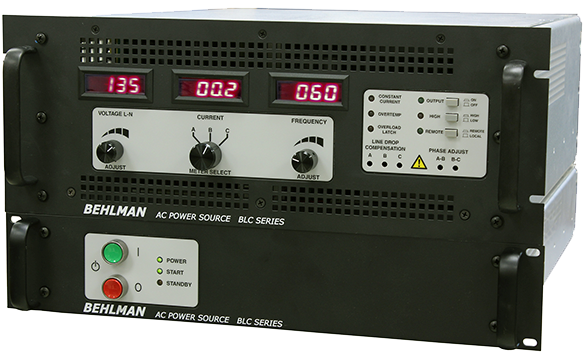 Both options come with front panel indicators and three form “C” contacts for alarms. 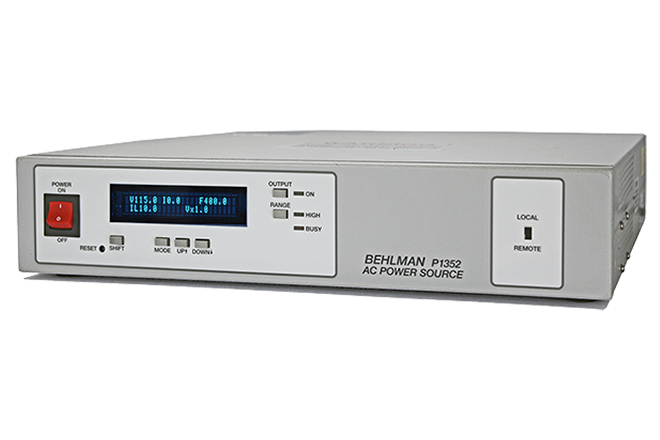 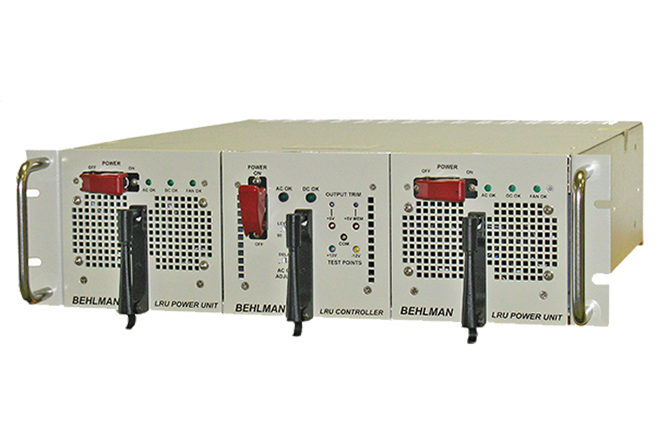 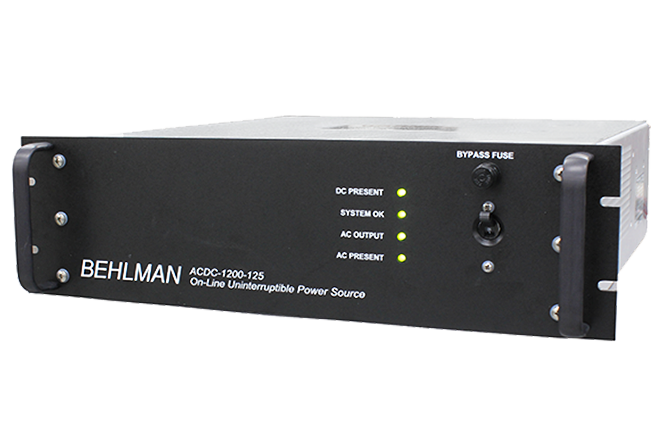 If you have an application where you require AC power from your batteries or DC source Behlman’s INV series is your best choice. 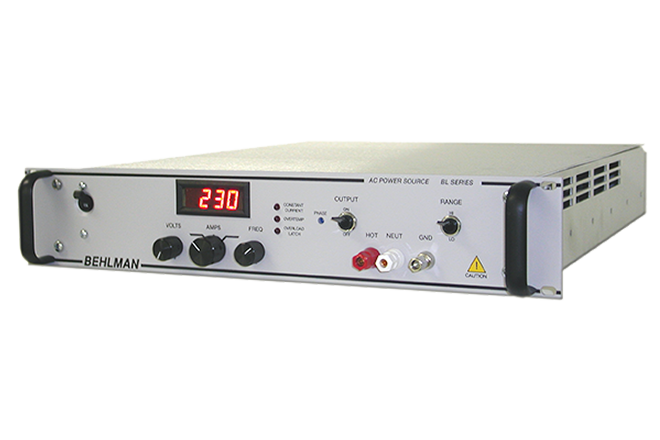 Ideal for use where sensitive electronics require clean regulated AC.